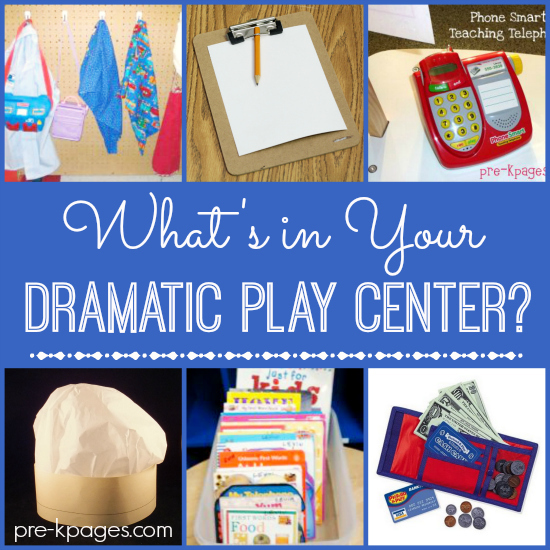 What's in Your Dramatic Play Center? 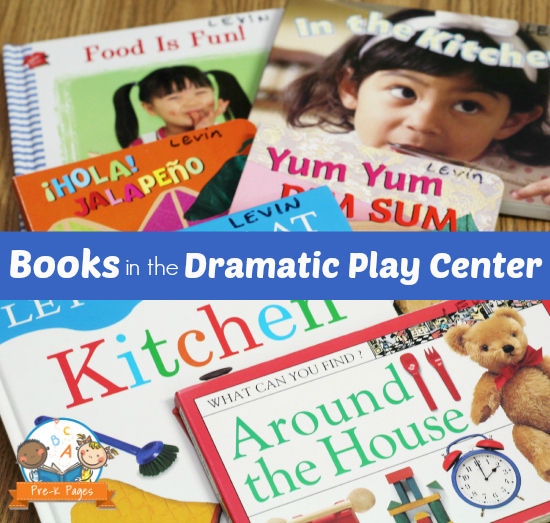 The dramatic play center is always one of the favorite centers in any early childhood classroom! The amount of learning that goes on in the dramatic play center is amazing. 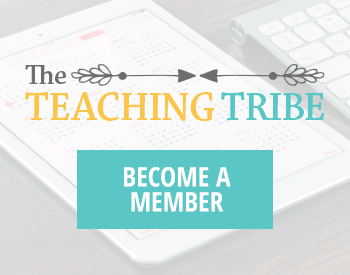 Everything from oral language skills, writing, math, and literacy are supported in this essential center. Below I have listed some of my favorite props for any dramatic play center. You never know when you might need to add something to the grocery list or write down a friend’s phone number. I put these little mini clipboards and pencils in the dramatic play center with blank paper to encourage writing for a purpose. Nothing encourages the development or oral language more than talking on the phone! I put as many phones in the dramatic play center as possible. If you use old cell phones be sure to take out the battery first. One of my favorite phones is the Learning Resources Phone Smart Teaching Telephone because you can program it and it’s interactive. Kids love playing with wallets! I put old wallets I no longer need in the dramatic play center. You can also find wallets at garage sales or thrift stores or make your own with duct tape. If none of those options work for you this Pretend Play Cash and Carry Wallet works nicely. If you have wallets you have to have purses too! You can use your own old purses or pick up a few at a garage sale or thrift store. Purses and wallets lend authenticity to children’s play experiences. Oh, and don’t forget the keys! A few aprons, a vest, and a dress shirt or two are all kids need to have an amazing experience in the dramatic play center. You can find child sized aprons at any craft store. The vests and dress shirts are from home but you could also look for them at garage sales and thrift stores. 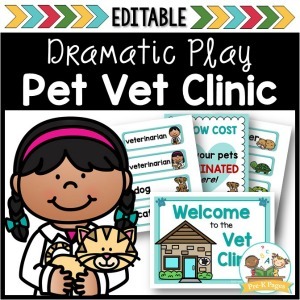 I made this dramatic play center video for you above, I hope you like it! 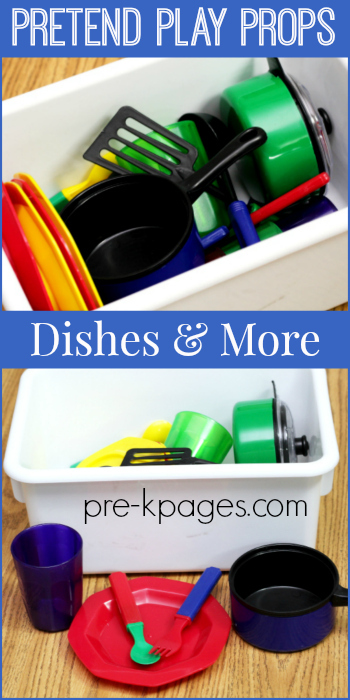 Pretend dishes are a must for any dramatic play center. The trick to having a quick and successful clean-up is to provide a tub or basket to hold the dishes. When kids are cleaning up they are practicing their sorting skills as they separate the dishes from the play food. After all the dishes are in the tub, it is placed on a shelf under the sink. 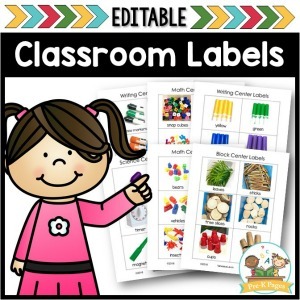 You can place a label with a picture of the dishes on each end of the tub and another label on the shelf. This makes clean-up run more smoothly and also supports the development of matching skills. Oh how they love pretend food! To keep kids from putting play food in their mouth, be sure to model the expectation often. I store the play food the same way I do the dishes, in a basket or tub. 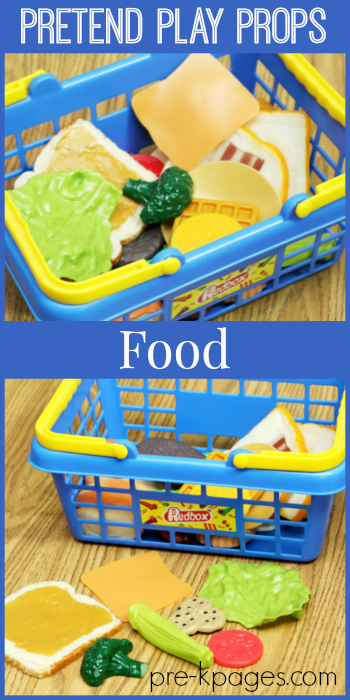 I love this pretend food storage idea from Kathy Griffin’s Teaching Strategies! Baby dolls are an important part of the dramatic play process. As kids talk to the babies they are developing their own oral language skills. When they care for babies they are developing compassion, empathy and so much more. I try to have dolls of various skin tones, especially those that match the skin tones of my students. 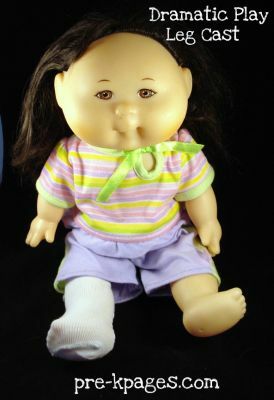 I found my Asian doll at a local thrift store, but I couldn’t find a Cabbage Patch Asian doll online. The first thing I do when I introduce baby dolls to my class is to ask the kids what they think babies need. They all know babies need bottles, diaper changes, rocking etc. I model these behaviors with a doll and then I explain that babies also like to hear stories. This is why many of the books in my dramatic play center are small board books- they are for reading to the babies! Once the kids understand that reading to babies is an important part of the process, the babies are rocked and read to on a regular basis in addition to being changed and fed. I’m sneaky like that. Here are some examples of the books I have in a tub in my dramatic play center. I place the tub of books strategically next to the baby doll bed. 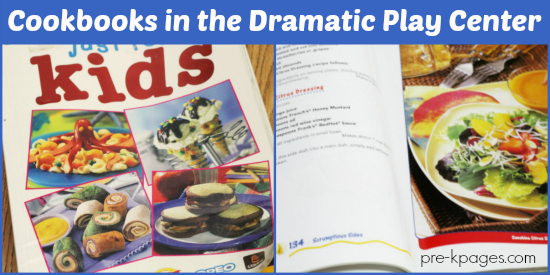 Adding cookbooks to the dramatic play center was one of the best things I ever did. When kids have cookbooks with colorful pictures to look at it brings the level of engagement and play up a notch. Instead of just throwing food on a plate and pretending to eat it, when I added cookbooks the kids started looking at the pictures, gathering the ingredients and creating culinary masterpieces. When they’re cooking using the cookbooks they often pretend to read the text on the pages too. It is very clear that they understand that the print in the cookbook has meaning. What type of cookbooks did you include? These are all great ideas! I get to move into a brand new building and I’m looking for new ways to improve dramatic play. Thank you! Hi Tera, I found the cookbook in the video at a garage sale. Any cookbooks with big, color pictures will work. You could also “make” your own cookbook. Give it a fancy cover, cut and glue pictures/recipes from magazines or print off from computer. The kids could possibly chooses the recipes to put in the cookbook. It could be made with a Dollar Tree photo album, etc.! You are so right Charlotte!!! Ask your friends and colleagues for their old cooking magazines and make your own cookbook- I love it! 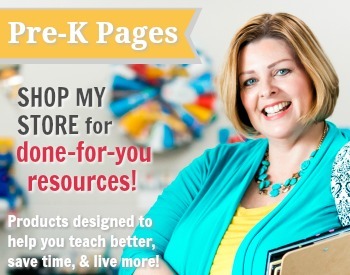 Thanks so much for great ideas for pretend play! I look forward to hunting down some of the suggestions during the summer and ramping up the area to promote language, literacy and writing skills. 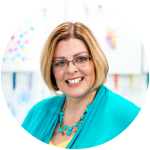 Thanks Oana, I love hearing from visitors all over the world! Chairs. Once I set up Dramatic Play like an airport, complete with signs and luggage. The highlight of the week was when I set up chairs for the kids to take airplane rides. Since then, the kids routinely set up chairs in rows so they can take trips. I love the conversations that take place about who gets to drive. We also have some stuffed animals that the kids like taking care of. I love the idea of reading to the babies! Oh yes, they just LOVE chairs don’t they Amy? One time when my kids had the chairs arranged into a “bus” each child on the bus had a set of keys and they were all pretending to drive- it was hilarious! These are great ideas for dramatic play! We use a cash register, play food, dishes, phones, and a lifelike horse the kids can sit on. Thanks Jill! I am sooooo envious of the horse- I have always wanted one of those in my dramatic play center! I think the kids would have a blast with it! I love the phone that you have featured here. I want one for my pretend play area but can’t find where it’s available currently. Do you know where I could find one? Some great ideas! Love the idea of putting a cookbook and some board books, for “reading” to the babies in the dramatic play area.